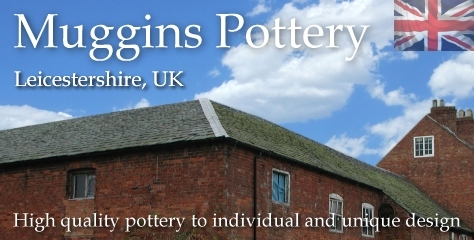 Pottery Flying Beasties | hand-made pottery from Muggins Pottery in Leicestershire - wedding gifts, birthday presents, christening presents and anniversary gifts. Large, medium and small flying hippos. Each set faces either left or right and is hand-made with the same glaze. Hook them on the wall. Size information below indicates rough size of the largest one, but please note that sizes do vary. Large, medium and small flying elephants. Each set faces either left or right and is hand-made with the same glaze. Trunk may be up or down. Hook them on the wall. Size information below indicates rough size of the largest one, but please note that sizes do vary. Large, medium and small flying cats. Each set faces either left or right and is hand-made with the same glaze. Hook them on the wall but keep them away from the fridge. Size information below indicates rough size of the largest one, but please note that sizes do vary. Large, medium and small flying dogs. Each set faces either left or right and is hand-made with the same glaze. Hook them on the wall near the flying cats. Size information below indicates rough size of the largest one, but please note that sizes do vary. Large, medium and small flying ducks. Each set faces either left or right and is hand-made with the same glaze. Hook them on the wall. Size information below indicates rough size of the largest one, but please note that sizes do vary. Large, medium and small flying sheep. Each set faces either left or right and is hand-made with the same glaze. Hook them on the wall. Size information below indicates rough size of the largest one, but please note that sizes do vary. A flying dragon designed to hang on a wall. Hand-made so each one is unique. Made in a shiny green glaze to match their colours in the wild. No fire risk with this one. Flying to the left only. Can be posted to UK address or overseas. A flying dragon designed to hang on a wall. Hand-made so each one is unique. Made in a shiny green glaze to match their colours in the wild. No fire risk with this one. Flying to the left only. Can be posted to UK address only (sorry - no overseas delivery on this item).